Most people think that once you downsize your life and your kitchen, you have to give up your favorite big appliances. Thats not the case. 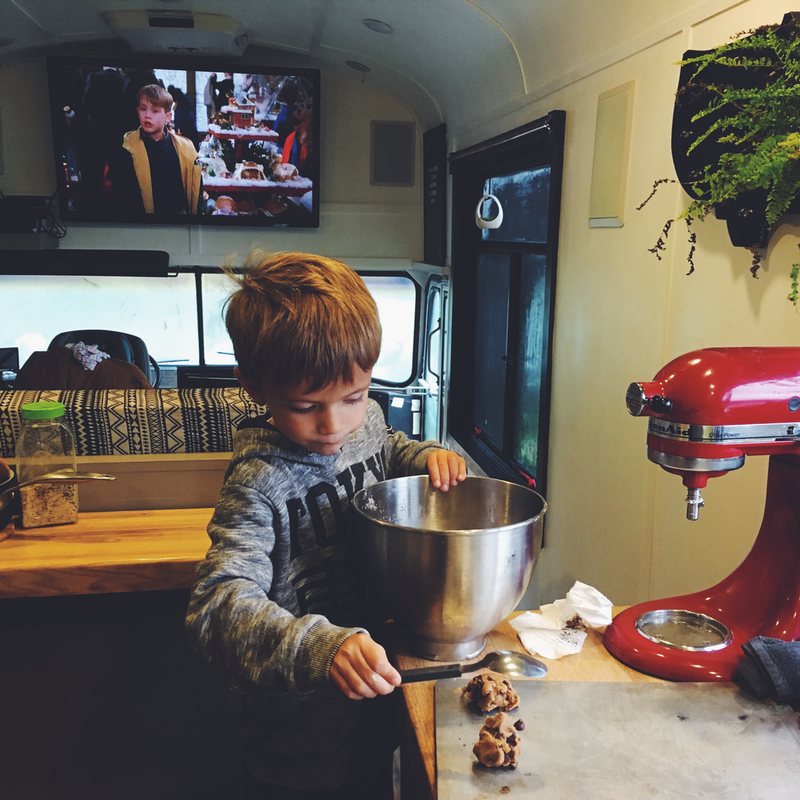 I am a home chef and baker, those were things I didn’t want to give up once we moved in the bus. The first big appliance I insisted on getting was our stove/oven. I bake at least once a week. Whether its cupcakes or salmon; something is always in the oven cooking, and we’re anxiously waiting for it to come out. We found the perfect stove/oven to fit in our bus. Its an Amana 20” range four burner gas/propane stove. I’m at the stove at least 3 times a day preppin’ my magic. I love our oven. Second, is my Vitamix Blender, it was a Christmas gift from my mother in law a few years ago, and we use it every day. Between making smoothies, bulletproof coffee, homemade ice cream/pops, dole whip and butternut squash soup, its always on my countertop waiting to be used. I knew if I was going to bake in my oven, I would have to keep my Kitchen Aid mixer. I mean you can’t just get rid of it when you make breads, rolls, cookies, cakes and homemade frostings right?? I made sure to find a spot where its easily accessible at all times. If its not easy to get to, you won’t use it, trust me! You might be asking how we use these items as we travel, or if we are not plugged into 30/50 amp. We planned for all of that, by adding enough solar and batteries to supply power for us to run these if we need or want to. When we travel, we try to stay light on power usage but rainy days call for cookies or posolé. So there you have it as far as my appliances in my tiny kitchen. If you are in the process of going tiny or debating to do something because you can’t have the items you want, my biggest suggestion is always prioritize what matters most to you. I knew what I needed to feel like I had an adequate kitchen in my bus. I'm the family baker and I didn’t want that to change, nor did I want to change our routine of how we cooked and ate at home. It was a priority for me to make good, healthy food for my family to enjoy.